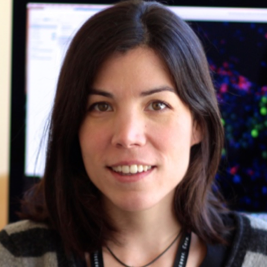 Dr. Judith Agudo joined the Dana-Farber Cancer Institute as a Principal Investigator in 2017. After obtaining her Ph.D. at University Autonomous of Barcelona, she was awarded a Fulbright scholarship in 2010 to perform her postdoc training in the Immunology Institute in the Icahn School of Medicine at Mount Sinai. During her postdoctoral training she developed a novel tool called the Jedi mouse to study T cell function. This unique technology has allowed her to elucidate mechanisms controlling immune surveillance of tissue-resident stem cells and cancer stem cells. Dr. Agudo has developed a pre-clinical model of breast cancer dissemination and dormancy in bone marrow. With help from the Mary Kay Foundation grant, Dr. Agudo is using her novel Jedi technology to investigate immune-therapy based approaches to achieve eradication of dormant breast cancer disseminated cells before they grow metastatic tumors. 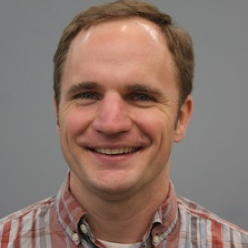 Dr. Charles Caskey studies diagnostic and therapeutic uses of ultrasound. He received his Ph.D. in biomedical engineering from the University of California at Davis. Dr. Caskey is using the Mary Kay Foundation grant to study how focused ultrasound therapy could potentially be an ideal helper for immunotherapy. Immunotherapy has had a profound impact on cancer treatment by mobilizing the body's natural disease-fighting mechanisms to fight cancer. Despite promising results in specific cancers (e.g., skin and bladder), reliable response in breast cancer remains challenging. A successful outcome of Dr. Caskey’s research would expand the use of immunotherapy to breast cancers that are not currently responsive to this potentially lifesaving treatment. 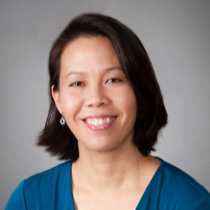 Dr. Lan Coffman attended Wake Forest University School of Medicine when obtaining her Ph.D. and M.D. Her research focuses on the ovarian cancer microenvironment, understanding and targeting the cancer supporting stromal tissues which are critical to the survival, growth and spread of ovarian cancer. With help from the Mary Kay Foundation grant, Dr. Coffman is studying the supportive environment or “soil” where cancer cell “seeds” grow in order to metastasize. This “soil” provides vital nutrients and protects the cancer cell “seeds” from being destroyed. One critical cell within this “soil” is the carcinoma-associated mesenchymal stem cell (CA-MSC) which acts like fertilizer supporting cancer cell survival, growth and spread. The goal of Dr. Coffman’s research is to understand how CA-MSCs promote ovarian cancer metastasis and to develop strategies to block CA-MSC cancer cell interactions as a new way to fight ovarian cancer. 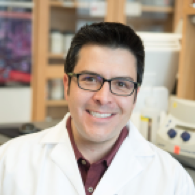 Dr. Juan R. Cubillos-Ruiz obtained his postdoc at Weill Cornell Medicine. His lab aims to understand how Endoplasmic Reticulum stress responses sculpt immune cell function in health and disease. Dr. Cubillos-Ruiz is the scientific founder and advisor of Quentis Therapeutics, a biotechnology company pursuing next-generation immuno-oncology research and drug development. With help from the Mary Kay Foundation grant, Dr. Cubillos-Ruiz is aiming to understand how ovarian tumors cause dysfunction of immune cells, and exploit this knowledge to develop more potent immunotherapies. His project aims to use selective drugs to disable sensors of stress in immune cells and render them resistant to the unfavorable conditions within tumors. Dr. Cubillos-Ruiz and his team will develop a new approach to overcome the limitations of existing immune-based treatments. By exploring these novel approaches to cancer immunotherapy, they aim to strengthen the capacity of the patient’s immune system to eliminate ovarian cancer. 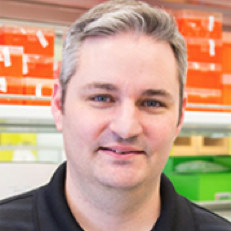 Dr. David DeNardo obtained his Ph.D. in Cell Biology at Baylor College of Medicine and performed his postdoc work at University of California, San Francisco. 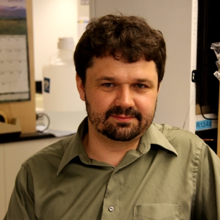 His research interests include immune response, metastasis, breast cancer and pancreatic cancer. Dr. DeNardo is studying the mechanisms by which senescent stromal cells (which are found in high numbers in breast cancer tissues at diagnosis) thwart immunotherapy. He also plans to test the ability of clinically available agents that inactivate cellular senescence to overcome resistance to immunotherapy. With help from the Mary Kay Foundation grant, Dr. DeNardo and his team’s goal is to provide optimized immunotherapeutic strategies that would be highly effective, even in heavily pre-treated metastatic breast cancer patients. Dr. Gianpietro Dotti studies immunotherapy strategies to treat patients with hematologic malignancies, including lymphomas and leukemia, and solid tumors. 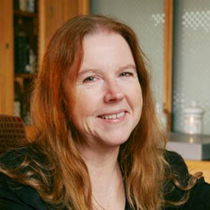 A significant focus of Dr. Dotti’s research is the development of strategies of utilizing engineered T cells to overcome immune suppressive mechanisms of the tumor microenvironment. Dr. Dotti has had success in treating patients with hematological malignancies by using their own immune cells modified with a chimeric molecule that eliminates tumor cells. He and his team are now focused on extending this approach to solid tumors such as neuroblastoma, glioblastoma, ovarian cancer, pancreatic cancer and triple negative breast cancer. These solid tumors including TNBC remain very difficult to treat. With help from the Mary Kay Foundation grant, Dr. Dotti intends to use a specific type of immune cells that are characterized by a high capacity to reach the tumor and to eliminate not only the tumor cells but also other cells that are helping the tumor to grow. 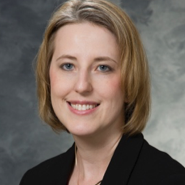 Dr. Amy Fowler is an Assistant Professor at the University of Wisconsin School of Medicine and Public Health. She specializes in diagnostic radiology and breast imaging including mammography, ultrasound, and MRI. Her research focuses on molecular imaging for precision medicine to improve outcomes for patients with breast cancer. With the Mary Kay Foundation grant, Dr. Fowler is studying ways to predict and identify drug resistance early in order to start alternative therapies in a timely manner, as generally many anti-estrogen therapies have initial success but patients then develop drug resistance. The purpose of Dr. Fowler’s project is to test whether mutated forms of the protein that binds estrogen and drives tumor growth (termed estrogen receptor alpha or ER) lose the ability to bind FES (18F-fluoroestradiol), which is a radiotracer used to visualize and quantify tumor ER expression when patients undergo a positron emission tomography (PET) scan. The results from her work will better define the patient population in which FES PET imaging yields the most accurate results for support of U.S. Food and Drug Administration approval of this technique to tailor individual patient treatment plans. Dr. Roger Lo is an accomplished physician-scientist widely recognized for his work in understanding treatment-resistant melanoma. His laboratory’s research focus is on genomic, epigenomic and immunologic factors that shape the cancer’s evolution on molecularly targeted therapies and/or immune checkpoint inhibitors. He has led groundbreaking research into resistance mechanisms against a promising class of drugs known as BRAF inhibitors and discovered ways to block multiple resistance routes and shrink tumors in people with advanced disease. Approximately 50 percent of advanced melanoma tumors, which often metastasize throughout the body, are driven to spread by the presence of BRAF mutations and therefore treatable by BRAF inhibitors. Dr. Lo’s group is also working to tackle resistance mechanisms in additional subsets of melanoma in order to test novel therapies for these patients. With the Mary Kay Foundation grant, Dr. Lo is studying a "one-two punch" method in attacking cancer cells. He is testing whether ovarian cancers with specific and concurrent molecular features would most optimally respond to a treatment that includes exploiting cancer medicine addiction, weakening DNA in cancer cells and ultimately killing them. Melanie H. Cobb, Ph.D. and Ankita Jaykumar, Ph.D.
Dr. Melanie H. Cobb attended Washington University in St. Louis to obtain her Ph.D. and did her postdoc work at the Albert Einstein College of Medicine in New York. Her interests are protein kinases in cellular regulatory mechanisms. Dr. Cobb is using the Mary Kay Foundation grant to help determine if a particular signaling pathway (WNK1/OSR1 pathway) could be a potential therapeutic target in breast cancer. The gene WNK1 was recently identified as a “signature gene” expressed in a particularly aggressive class of breast cancers called basal-like breast cancers. Basal-like breast cancers grow rapidly, tend to affect younger patients, and have the worst prognosis of all breast cancers. 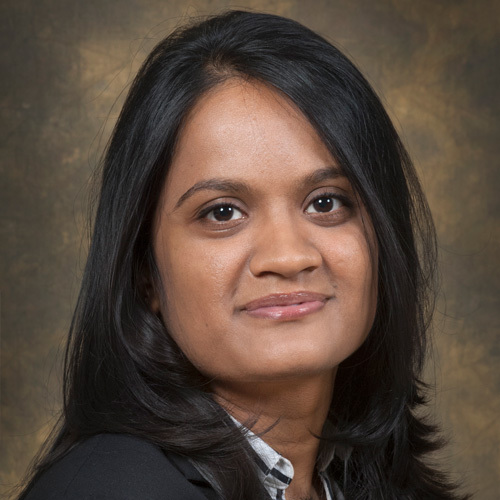 Dr. Cobb, along with lead researcher Dr. Ankita Jaykumar and team, will test the effect of specific inhibitors on cell migration and survival in both traditional breast cancer cell culture and in tumor tissue embedded in 3D Matrigel. This will provide evidence of the potential of the WNK1/OSR1 pathway as a therapeutic target in breast cancer. Theresa Li-Yun Chang, Ph.D. and Mark Einstein, M.D., M.S. 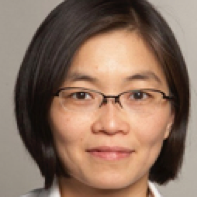 Dr. Theresa Li-Yun Chang attended New York University to obtain her Ph.D. and did her postdoc at Yale University. Her lab is interested in the role of innate immunity in sexual transmitted infection-mediated enhancement of HIV infection, and HIV infection of human peritoneal macrophages. 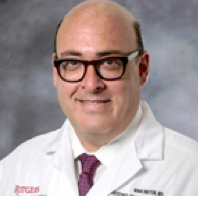 Dr. Mark Einstein is a Gynecologic Oncologist and clinician-scientist. His primary research interests focus on the pathogenesis, therapy, and prevention of HPV-associated diseases as well as early drug development. He has developed and lead numerous multi-institutional clinical trials for many rare gynecologic diseases. Currently, as an Assistant Dean at Rutgers New Jersey Medical School, his role has taken on a much broader context across many disciplines at NJMS. Dr. Chang and Dr. Einstein are collaborating to study cervical cancer in women. Infection with a cancer-causing form of human papillomavirus (HPV) is required for the development of cervical cancer. While most women easily clear an HPV infection through their immune system, some women cannot, and if not detected with screening and treated early, precancerous lesions may become cervical cancer over time. Cervical cancer develops as a result of the immune tug-of-war in the cervical microenvironment. The Mary Kay Foundation grant will help Drs. Chang and Einstein determine the specific immune functions that are impaired in women with cervical cancer and HIV. Their research will expand knowledge of how cervical cancer develops in women, especially vulnerable populations such as women infected with HIV. It will also contribute to the development of early diagnostic tools to prevent cervical cancer and novel immune-based cancer therapies for effective treatment of this deadly disease. 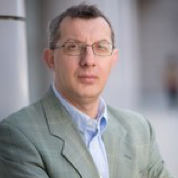 Dr. Alexei Tulin received his Ph.D. in Epigenetics from Moscow State University. His long-term interest is exploring how cells can undergo rapid, local and reversible chromatin reprogramming. With help from the Mary Kay Foundation grant, Dr. Tulin is studying how Poly (ADP-ribose) polymerase 1 (PARP-1)-regulated signaling contributes to the start and progression of various human malignancies. Several recently concluded studies show clear promise of PARP-1 inhibitors for the treatment of breast cancer patients. But this treatment is limited. To address these limitations, Dr. Tulin and his lab have developed a new class of PARP-1 inhibitors with the overall objective of developing effective anti-cancer therapeutics by examining the antitumor activity of the newly created PARP-1 inhibitors. 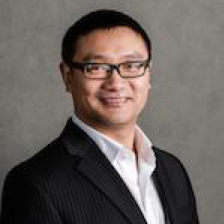 Dr. Lixing Yang received his Ph.D. from the University of Georgia and his postdoc at Harvard Medical School. He is interested in the evolutionary process of cancer and genetic alterations in various forms that accumulate over a long period of time to form cancer cells. He also studies genomic rearrangements and how they affect and change DNA structure. 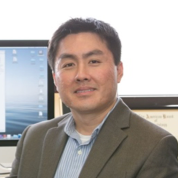 Dr. Yang is using the Mary Kay Foundation grant to study breast cancer. Currently, there is no immunotherapy therapy available for breast cancer. The hope of this study is to be able to detect patient specific neoantigens and better predict which patients are more likely to respond to immunotherapy.